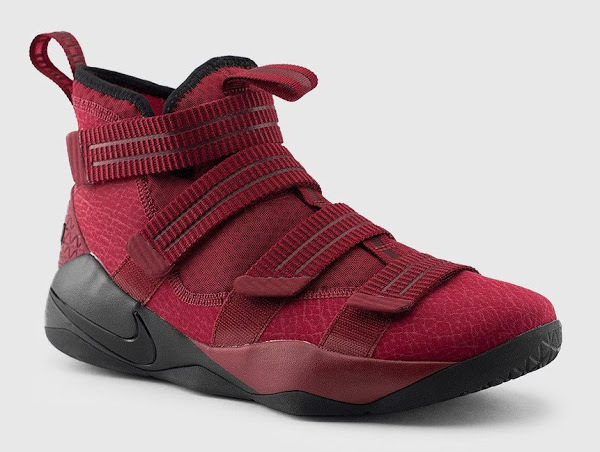 The Nike LeBron Soldier 11 has already made it debut on NBA courts. 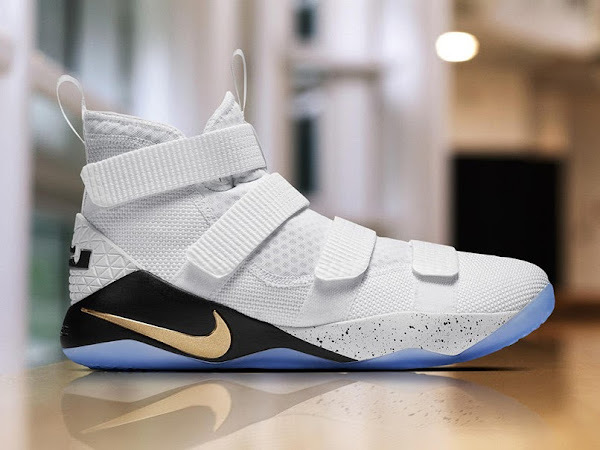 First it was introduced by LeBron James in the very first game of the 2017 NBA Playoffs. 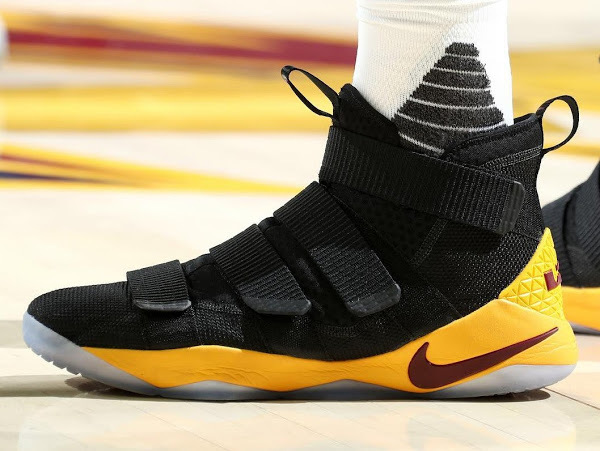 Other members of the squad followed their leaded with multiple wears including J.R. Smith, Tristan Thompson, and James Jones, who along with King James is about to make his 7th straight trip to the NBA Finals. 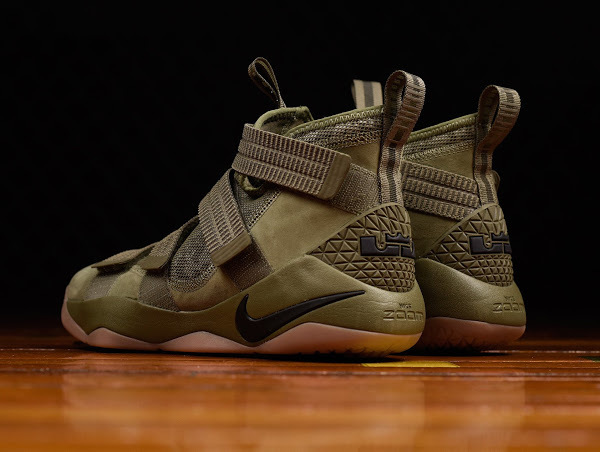 Now as we apporach the final stage of the season Nike is ready to launch the eleventh installment of the Nike Soldier series to public. 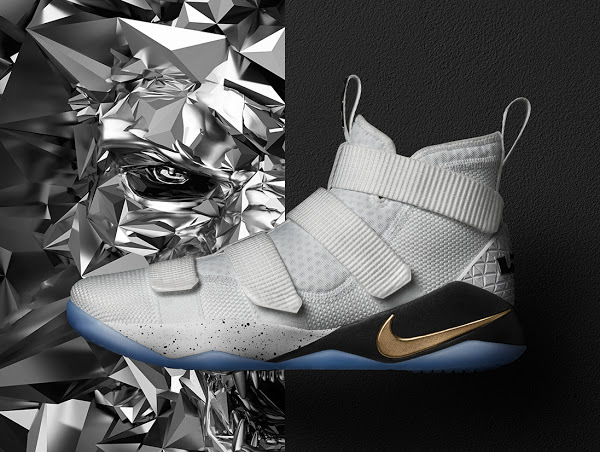 Two colorways are scheduled to be released this week… the predominantly Black “Prototype” colorway (drops tomorrow) and a White/Gold version called “Court General” (drops on Saturday). 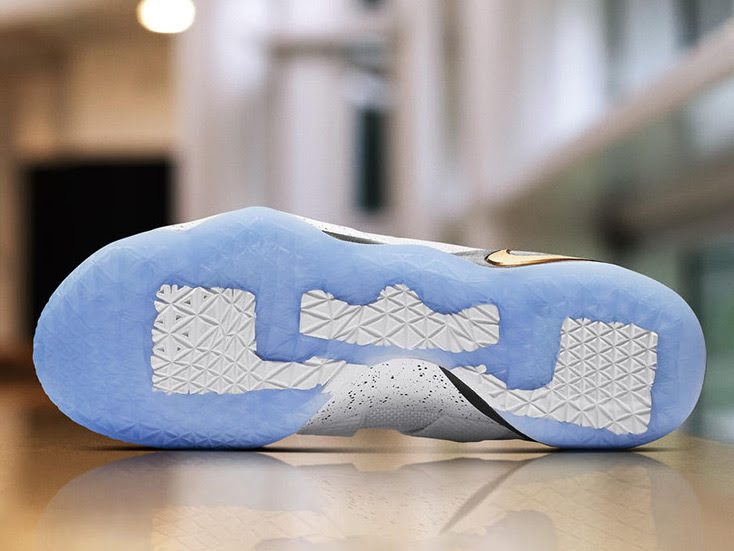 The Court General style is a nod towards Nike’s Elite collection that Nike used to develop for the Playoffs, which originalted with a touch of White and Gold along with LeBron 9 and 10. 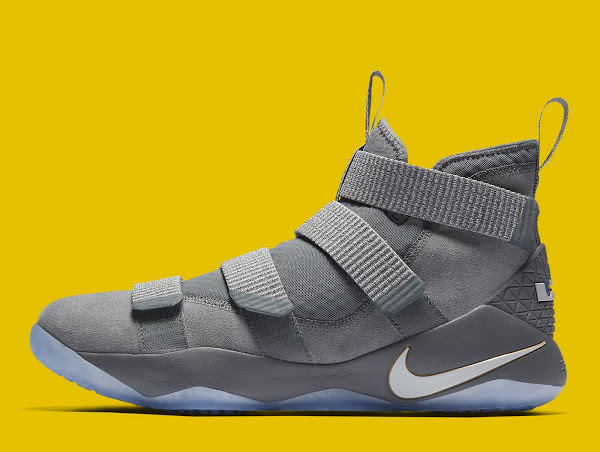 Check out the Nike LeBron launch calendar for more details.